Hulk Cookies - The perfect crinkle cookie that you can't help but smash and throw around! Preheat the oven to 350 degrees and line a baking sheet with parchment paper or a Silpat Baking Mat. 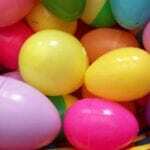 Combine the cake mix, egg whites, flour and vegetable oil mixing well. Add in several drops of green gel food coloring and mix well. I used my hands after I stirred it a few times. Use a small cookie scoop to scoop the cookie dough into approximately 2″ balls. Set on a baking sheet 2-3″ a part. Remove the cookie from the oven and let cool completely prior to decorating. 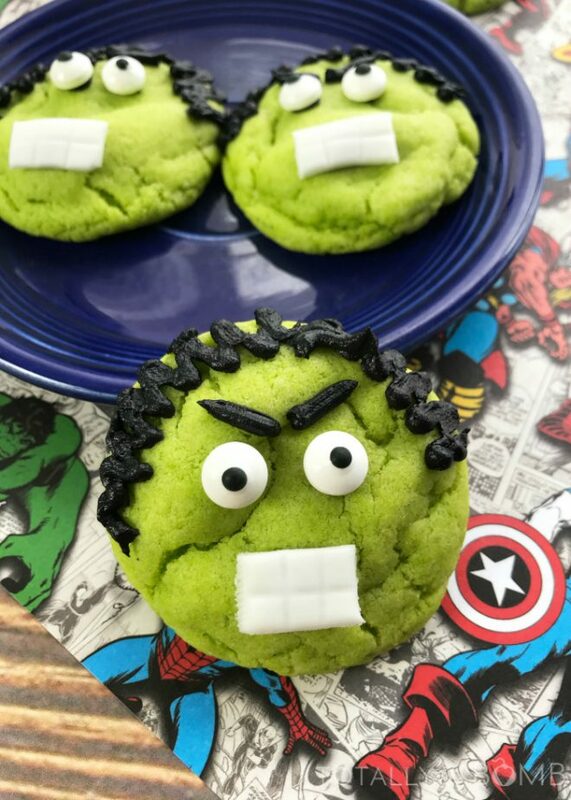 Once the cookies have cooled, give each Hulk cookie a set of small candy eyes by dabbing a small amount of black frosting on the backs and pressing onto the cookie. Use a rolling pin to roll out the white fondant and cut fondant into small rectangles using your paring knife. Turn the paring knife over and gently press into the fondant making it look like teeth. Place a small dab of the black frosting on the back and place on the cookie for the Hulk’s mouth. Lastly, use the black frosting to make the Hulk’s hair – simply squeeze back and forth in a short motion over the top of the cookie.